The December Village of Virden Town Meeting will be held Tuesday, December 12th at 7 PM at the Village of Virden. Please see the attached image for the Agenda. 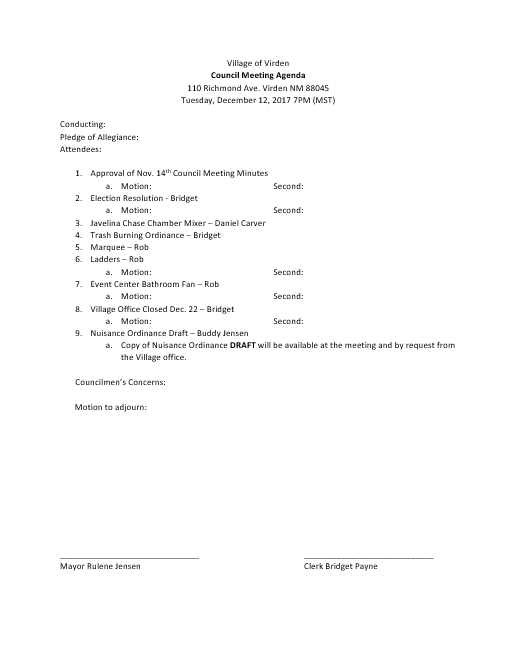 Minutes from the Nov. Town Meeting are available by request and posted in the Village of Virden Office.